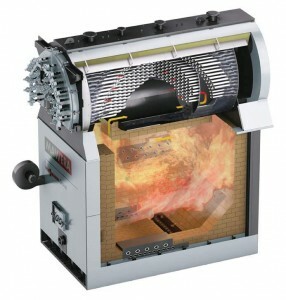 Apart from conventional biomass, this flat moving grate is particularly designed to burn wood fuel with a high ash and high moisture content. 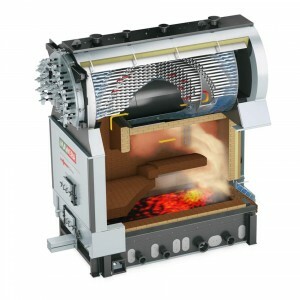 Significant advantages of the flat moving grate combustion in the FSB Series are: 1. a wide variety of wood fuel can be used, and 2. lower particulate matter emissions due to an undisturbed fuel bed. 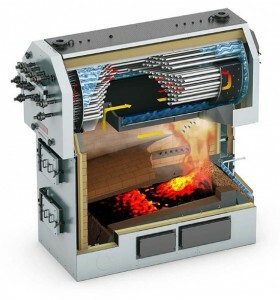 MAWERA’s flat moving grate boilers use a Low-NOx firebox technology. 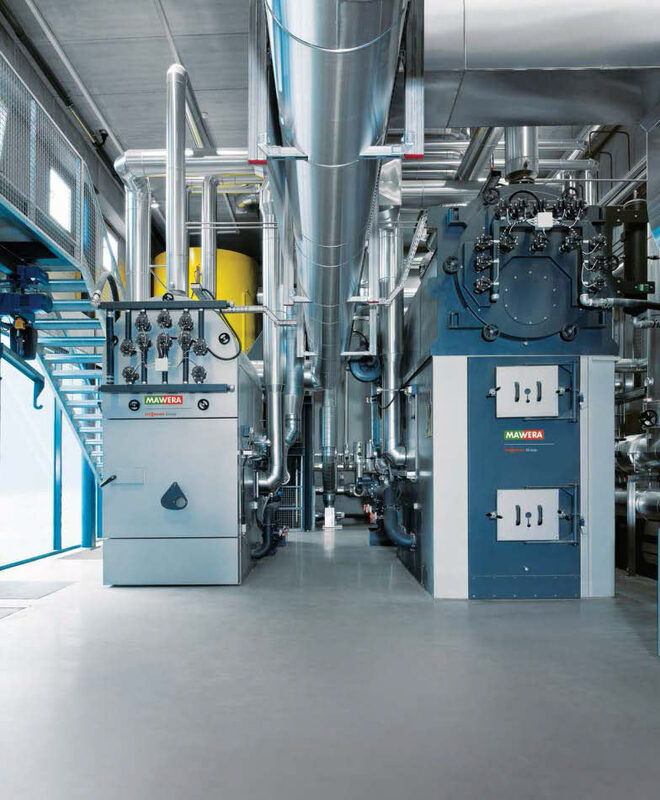 Our Low-NOx combustion chamber is equipped with variable and controlled primary air supply, automatic modulation flame control, and O2 regulation (Oxygen Trim System) thus reducing NOx emissions. The geometry of the combustion chamber was developed based on research at our test facilities and in cooperation with Graz Technical University. 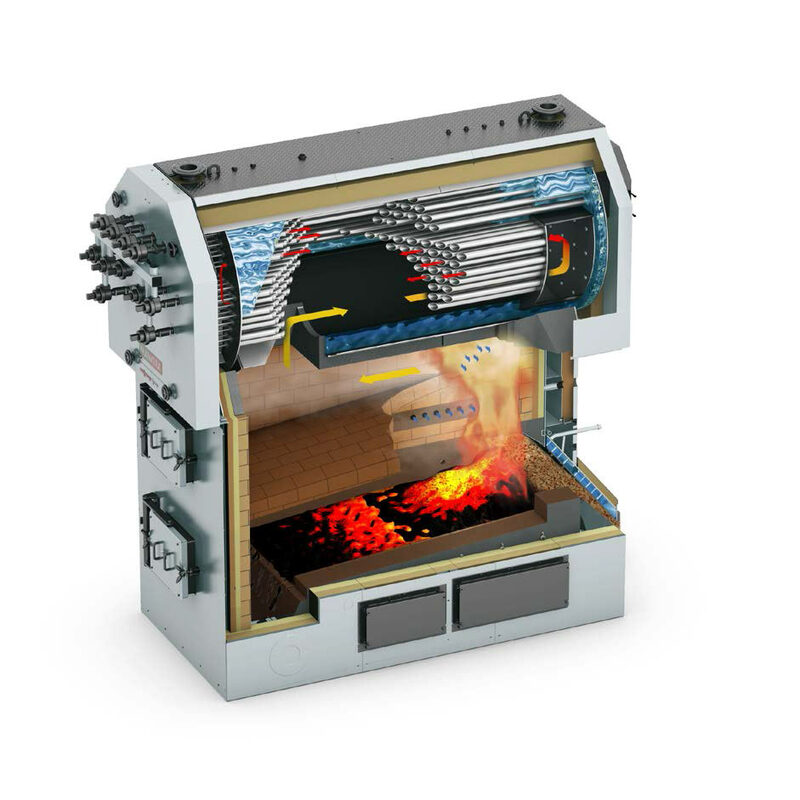 As a result, NOx emissions are reduced by 80% compared to fireboxes with a conventional moving grate technology. 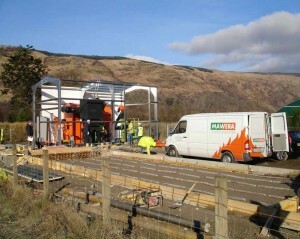 Wood fuel is discharged from bunkers or silos using MAWERA’s hydraulic push rams or MAWERA’s silo discharge system. Depending on architectural constrains and the particle size of the fuel, push rods, chain conveyors or tube screw augers can be used to transport the fuel. 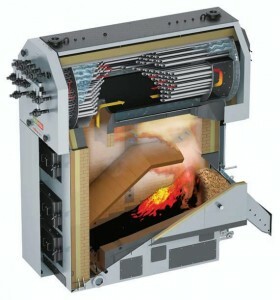 The entire system is controlled by the well proven micro-processor MAWERA Logic 300 operated by a touch screen panel. In addition, a modem for remote maintenance, a human-machine interface (“MAVIS”) and a tele-emergency alert system are available. 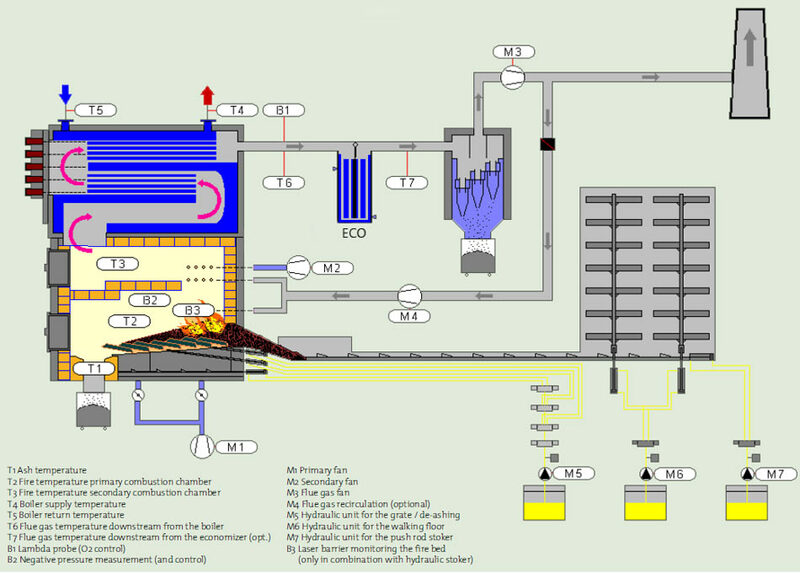 minimal radiation losses through complete insulation of the entire boiler unit.